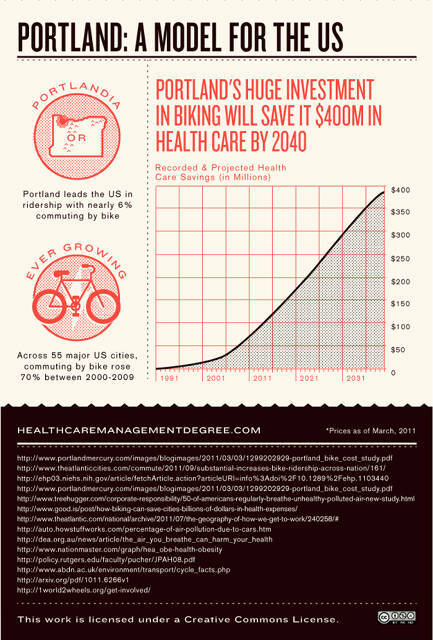 There's tantalizing data suggesting that biking could go a long way to solving America's obesity crisis. And much more. Americans are getting fatter every year, and weight-related diseases kill us at a rate second only to tobacco. There’s been lots of proposed solutions to that problem--rejiggering the food pyramid, advertising campaigns, soda taxes. But the simplest of all might just be bikes. Yes, bikes. There are suggestions that the government takes this trend serious: Transportation Secretary Ray LaHood has been making noises about making biking easier and safer across the country. But nonetheless, the degree to which motorists seem to despise those on bikes is pretty amazing--in New York’s own fights over bike lanes, the backlash has been vicious. How do you make cyclists safer without making drivers feel like they’re under attack? 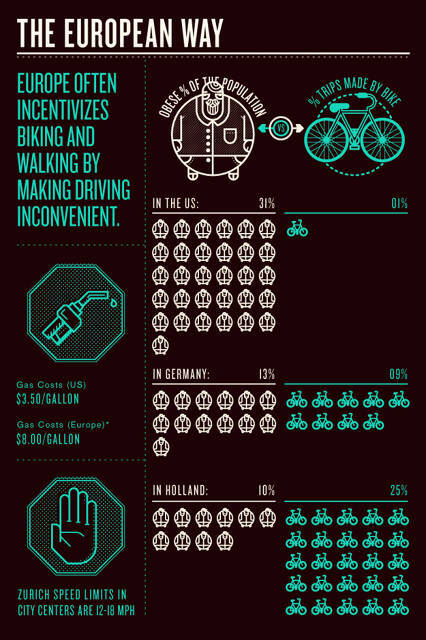 The answer to that question could hold the key to our biking future.